372 pages | 36 Color Illus. | 73 B/W Illus. 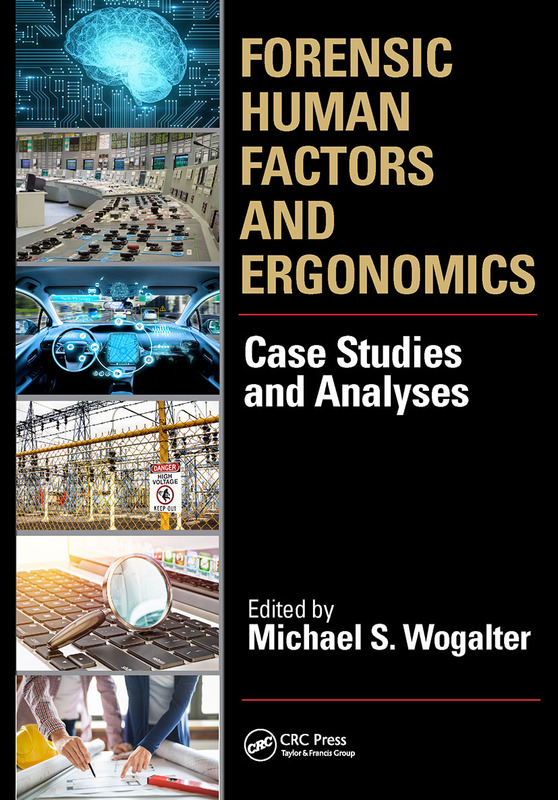 This book has 18 case study chapters investigating various injury scenarios through the use of a Human Factors and Ergonomics (HFE) analysis. Each injury scenario derives from one or more similar lawsuits (but names, places and some of the details are fictionalized). The scenarios describe a ‘slice of life’ of people interacting with products, equipment, tasks, and environments before they are seriously hurt. The forensic analysis that follows each scenario gives a background of prior similar events and systematically examines potential causes leading to the injury event. There is emphasis on the person-machine interface, human error, hazard analysis, hazard control and a model of communication-human information processing (C-HIP). Chapters are authored by highly experienced expert witnesses in HFE. The methods used are general techniques that can be applied to other injury scenarios, but would be better if employed earlier in a product’s life cycle to prevent or limit injury. The first three chapters introduce concepts useful for the analyses in the case study chapters. The last chapter offers some broad take-away points that cut across several of the case studies. Preface. INTRODUCTORY CHAPTERS. Introduction. Hazard Analysis and Hazard-Control Hierarchy. Communication - Human Information Processing (C-HIP) Model. CASE STUDY CHAPTERS. Parent Life-Saver or Infant Death-Trap? A Hazard Hanging at the Window. Case of the Baby Sitter with No Restraint. Not a Step! Colorful Rounded-Tip Scissors: Too Sharp for Children. Following the Lead: Duped by Pipe Dope. This Game Had a Bad Ending. A Close Brush with Death. The Medium is the Message: Warning Presentation Matters. Heavier than Air. Over-Reaching Consequences. A Step for Reasonable Expectation. Don't Walk: Hazardous to Cross Mid-Block. Beginning with a Malfunctioning Fuel Gauge and Ending with a Pedestrian Casualty. A TRUCK DRIVER’S DILEMMA. ROPS, Seatbelts, and the Unexpected Rollover. Do Not Recline That Seat. Working Out of View. CONCLUDING CHAPTER. Some General Final Comments. Index. Mike Wogalter is a Professor Emeritus of Psychology at North Carolina State University (Raleigh), having "retired" in 2013 after being a full-time faculty member there for over 20 years. Previously, he held full-time faculty positions at Rensselaer Polytechnic Institute (Troy, NY) and the University of Richmond. He holds a Ph.D. degree in Human Factors/Engineering Psychology from Rice University, a master’s degree in Experimental Psychology from the University of South Florida, and a bachelor’s degree in Psychology from the University of Virginia. He is a Fellow of the Human Factors and Ergonomics Society and the International Ergonomics Society. His interests have been mostly in the areas cognitive ergonomics, hazard communication, human-technology systems interaction, and forensic human factors. He has authored more than 370 publications, including books, journal articles, chapters, and conference proceeding articles. Mike has participated in hundreds of cases as an expert witness involving analyses of human perception, cognition, and warnings over the past three decades. He now mostly resides in Fort Lauderdale, Florida.